All 12 boys and their soccer coach have been rescued from a flooded Thai cave complex where they were trapped for more than two weeks, according to the country's navy SEALs. Eight of the boys were brought out on stretchers over the first two days — four on Sunday and four on Monday. The final four boys and their 25-year-old coach were freed Tuesday. 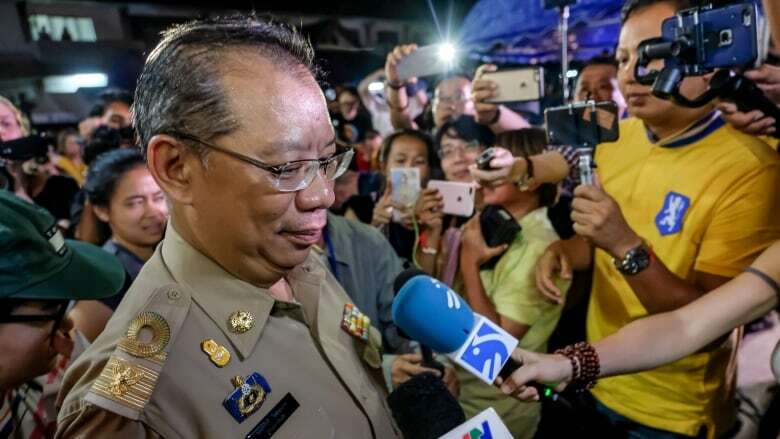 The head of the operation, Narongsak Osottanakorn, said earlier that the final operation would be "more challenging" because one more survivor would be brought out, along with three Navy SEALs who have been accompanying them. The rescuers have been learning from experience and were two hours faster in bringing out the second batch of survivors on Monday. Scattered monsoon rains continued to risk percolating through the limestone cave walls to flood the tunnels with fast-flowing water. But the rains cleared during the day — a reassuring sign for rescuers who have feared that wet weather could imperil the rescue. 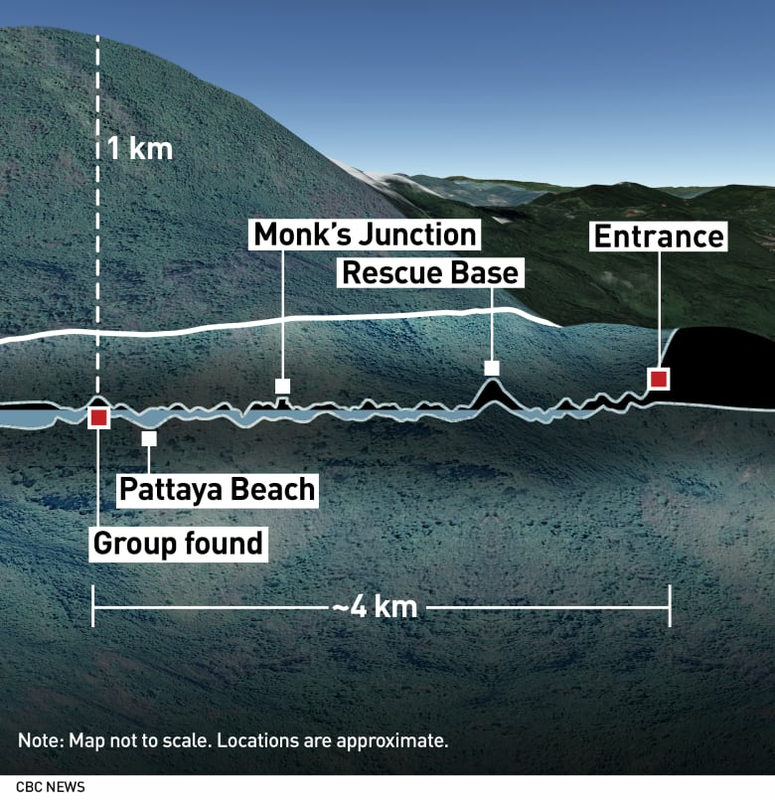 A crack team of foreign divers and Thai Navy SEALS guided the boys out through nearly four kilometres of sometimes submerged, pitch-dark channels. 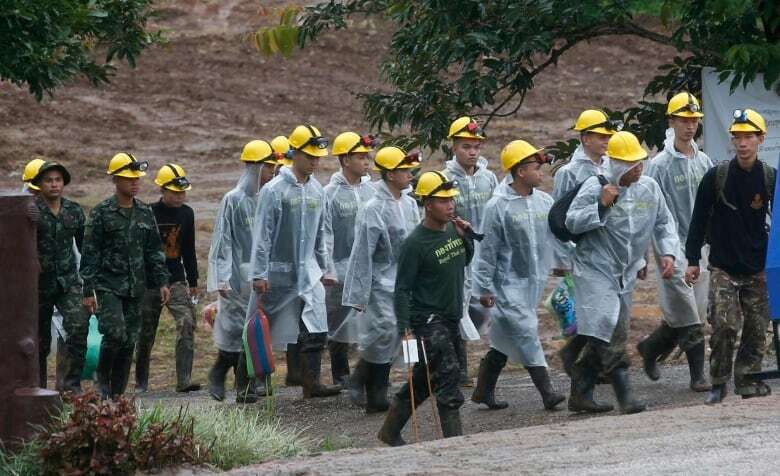 The Wild Boars soccer team and their coach got trapped on June 23 when they set out to explore the vast cave complex after soccer practice, when a rainy season downpour flooded the tunnels. British divers found the group, huddled on a muddy bank in a partly flooded chamber several kilometres inside the complex, on Monday last week. Two of the boys had suspected lung infections, but the four boys from the first group rescued were all walking around their hospital beds.